(541) 942-4493. 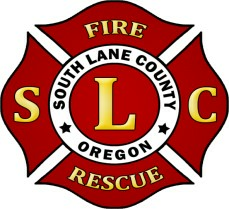 Applications are also available at southlanefire.org all applications must be returned to 233 E. Harrison Ave Cottage Grove, OR 97424. Residents receive tuition reimbursement for classes required for Fire/EMS Associates Degree, Housing and other expenses covered per Fire District Policy at one of our Four (4) Fire Stations. · Must be eighteen (18) years of age upon appointment. · Must possess at time of appointment a valid Oregon State Driver’s License and have an acceptable driving record. · Must be physically and mentally capable of performing the functions of a Firefighter. · An accurate and complete application for program participation. · Copies of certificates showing completion of minimum education and training requirements. · Copies of training records, transcripts or certifications. Application and resumes will be screened to determine if the applicant meets the minimum requirements. Qualified applications will be ranked based on experience and education.